CarGurus - Reliable Website For Pricing Or Not? 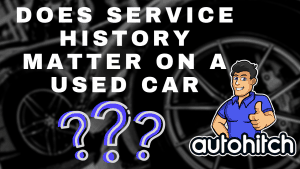 Is CarGurus A Reliable Source For Used Car Prices? CarGurus has a big claim to fame- Instant Market Value. The last two categories have actually been changed recently to “High Price” and “Overpriced” so as to appease some car dealers who complained that labeling a car listing something like a “Bad Deal” wasn’t good for the bottom line. Let this be your first insight into exactly what CarGurus is- As a bulk of their profits stem from Dealer subscriptions. 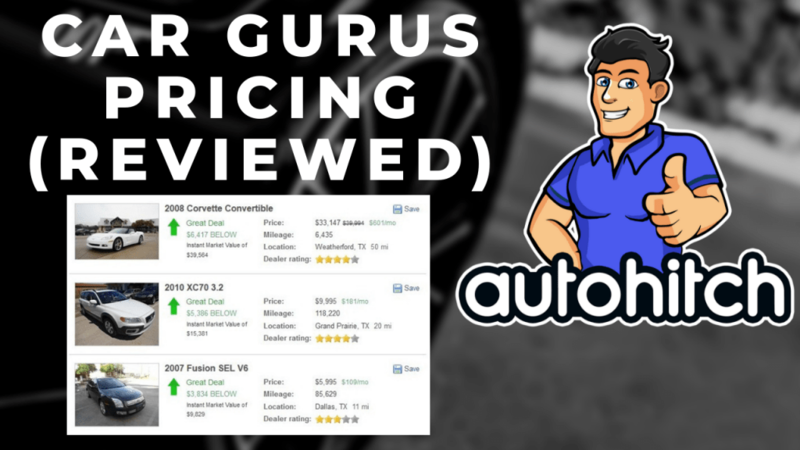 CarGurus – Reliable Website For Pricing Or Not? Before we go on “criticizing” Cargurus any further, let me first say that Cargurus is a business, and like any business they have the obligation and the right to make money. Let me also say that in my years of dealing with car buyers, if there were a new car shopping business that was charging a fee for it’s services, 99.9% of people would choose to have the bill sent to the dealerships. So, if we want “Middle Men” between buyers and dealers, but we don’t want to pay the extra cost, who do we think these third party companies are going to have to work with to keep the lights on? I hid my I.P. Address, created an account on Cargurus, searched for and found only one car, and submitted a lead (To A Dealer I knew). What followed were weeks of emails that barely featured the dealership that I had sent an inquiry to, which also was the only dealership I had even clicked on. Why did this happen? The more you search, the more Cargurus makes money from dealer subscriptions. -The business model relies (In Part) on the ability of Cargurus to tell its dealers that they are driving them traffic. Yes, the number of sales matters as well, but that’s harder to prove because most of you will visit multiple websites while searching for a car, right? Which website takes credit for your purchase? This is where you come in because because by pushing you to click on more listings from various dealers (Like they did with me in the experiment), Cargurus reps can then present the assumption for dealers that by sending more traffic Cargurus must be responsible for more sales. 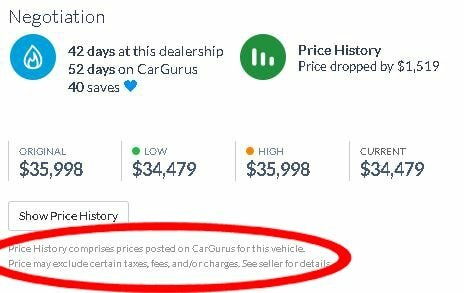 So, is CarGurus really giving you the truth about used car prices and good deals? No! Apologies for the loss of quality in the image above, but you should still be able to read the tiny disclaimer that tells you certain fees, taxes, and charges are not included. What that essentially means ladies and gentlemen is: You have just been advertised to, or better put: The figures you are shown do not have to be honored by Cargurus or the Dealership. 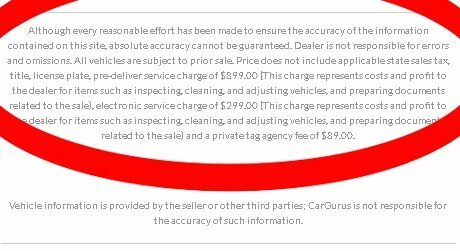 As you begin clicking into dealers listings on Cargurus you’ll start seeing disclaimers like the one pictured above. In this particular case, the fees (Not counting any that might still be waiting at the dealership) total about $1,300. 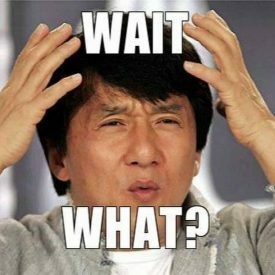 Let’s take a used car that is listed for $15,500 with a Cargurus Instant Market Value grade of “Great Deal”. If we add those $1,300 in Fees and Service charges from the disclaimer (That are not factored into the IMV grade), what do you think happens to that “Great Deal” rating? 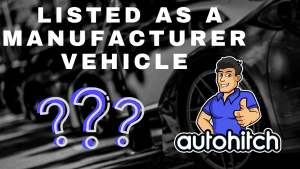 I wouldn’t be being 100% honest with you if I didn’t admit that Cargurus, at it’s very least, is a good tool to use in what should be a complete set of tools that you have with you while shopping for a quality used car. One feature I like in particular about Cargurus is that they give you a summary of an Autocheck Vehicle History report. Sure, it’s not a full report, but it’s a great way to screen used cars quickly, and it is well shy of spending $40 on a Carfax Report. 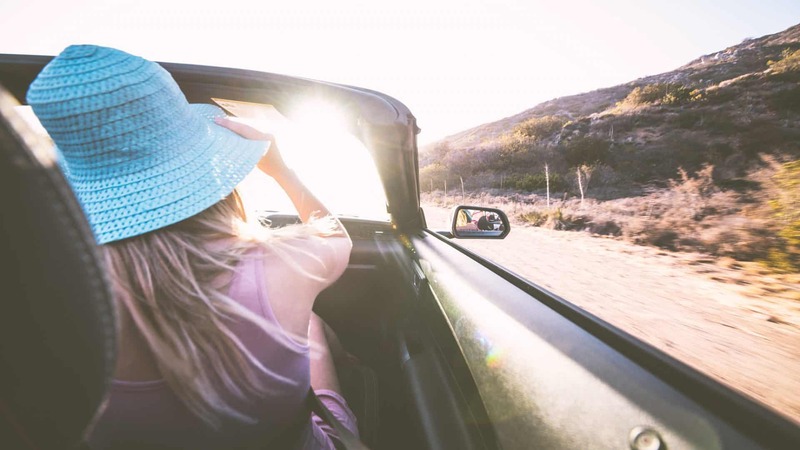 Which, by the way, if you are looking for a free vehicle history report, check out our article on Carfax reports when you are done here. But aside from the kudos, the truth is that Cargurus is just another form of marketing and advertising for car dealers. 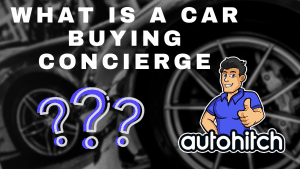 It’s a clever, and new, way of putting out a good looking price that is designed to get you in the door, where hopefully you have already become emotionally invested enough in a particular car that the true price doesn’t stop you from becoming a buyer. 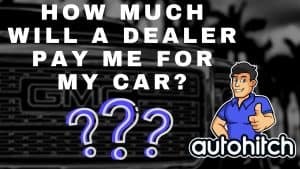 Find out how much a dealer will pay you for your used car. 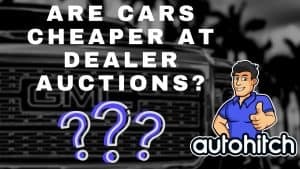 Are Cars Really Cheaper At the Dealer Auction?